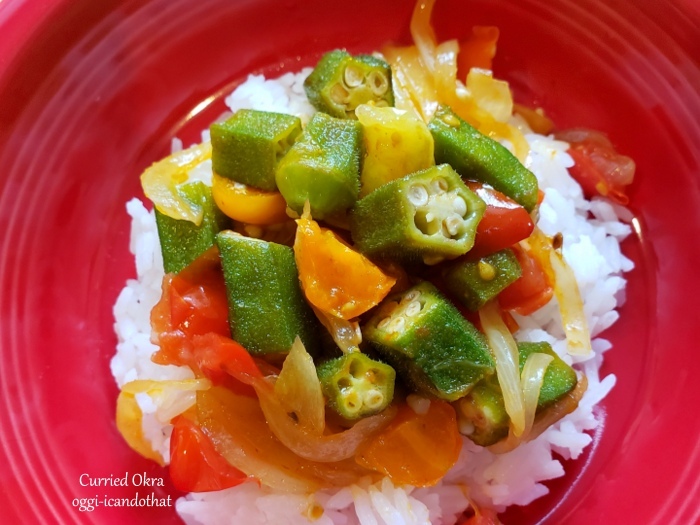 Curried Okra ~ I Can Do That! This dish is completely vegan and a cup only has 98 calories. The dish has a subtle flavor maybe because I used homemade (Indian) curry powder. Store bought curry powder are awful, in my honest opinion, so reduce the amount to your preference. Heat a cast iron or stainless steel skillet and add 1 tablespoon oil. 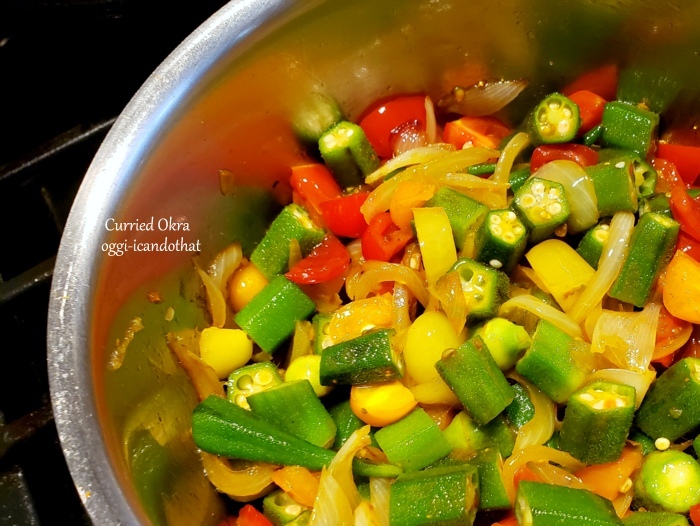 Saute okra for 2 minutes or until half cooked. Transfer into a small plate; set aside. Add the remaining oil in the skillet and saute onions until soft and translucent, add curry powder and stir fry for 1 minute. Put back into the skillet the okra, add tomatoes, and salt. Stir fry for 2 minutes.